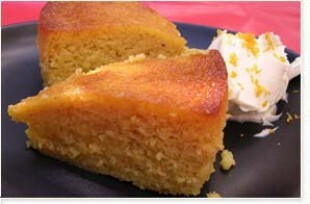 This clementine cake from the lovely Nigella Lawson sounds so yummy and it is flour-free! My mouth is watering as I type. Don't let autumn take over yet. Try this versatile dessert out soon. Enjoy! 1. Put the clementines in a pan with some cold water, bring to the boil and cook for 2 hours. 2. Drain and, when cool, cut each clementine in half and remove the pips. 3. Dump the clementines - skins, pith, fruit and all - and give a quick blitz in a food processor (or by hand, of course). 4. Preheat the oven to gas mark 5/190ºC. 5. Butter and line a 21cm Springform tin. 6. You can then add all the other ingredients to the food processor and mix. Or, you can beat the eggs by hand adding the sugar, almonds and baking powder, mixing well, then finally adding the pulped oranges. 7. Pour the cake mixture into the prepared tin and bake for an hour, when a skewer will come out clean; you'll probably have to cover with foil or greaseproof after about 40 minutes to stop the top burning. 8. Remove from the oven and leave to cool, on a rack, but in the tin. 9. When the cake's cold, you can take it out of the tin. Alternative from Nigella: I've also made this with an equal weight of oranges, and with lemons, in which case I increase the sugar to 250g and slightly anglicise it, too, by adding a glaze made of icing sugar mixed to a paste with lemon juice and a little water.